The Persian Empire, in antiquity, was the largest geographical empire in its time, at its height stretching from India (at the Ganges and Mula, respectively) all the way into southern Europe and down to Egypt, primarily under Cyrus the Great. It had not known defeat until it was turned back in its efforts to conquer Ancient Greece. It had two capitals: Susa and Persepolis. Many dynasties have ruled Iran, starting with the Achaemenid (559-330 B.C.) 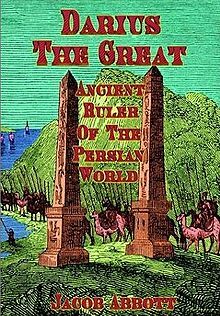 founded by Cyrus the Great. After the conquest of Persia by Alexander the Great and the Hellenistic period (300-250 B.C.) came the Parthian (250 B.C.-224 A.D.) and the Sassanian (224-651) dynasties. The sixth millennium B.C. saw a fairly sophisticated agricultural society and proto-urban population centers. The Persian Empire came into being in 539 B.C. with the defeat of the Babylonian Empire and continued under other famous rulers such as Darius and Xerxes until it was conquered and largely absorbed by Alexander the Great in 330 B.C. The Persian Empire and several of its rulers are discussed in the Bible in the books of Daniel and Esther. Roughly sixty years after the death of Alexander the Pontics, Medes, and Ionian Gallatians revolted and separated themselves from the Seleucid state. These peoples later amalgamated to form part of the Parthian Empire. Map of the Persian Gulf, 1747. The later Persian (Sasanian) Empire was founded by Ardashir I in 224 A.D., when he defeated the last Parthian king. The Sasanian Empire was, like its Parthian predecessor, involved in a number of wars with the Roman Empire, and in 260 even captured the Roman Emperor; Valerian. The Sasanian empire outlived the Western Roman Empire, but in 651 it fell to the Arabs. This page was last modified on 9 April 2019, at 14:09.